ONLINE AUCTION. ENDS JULY 30th, 2014. 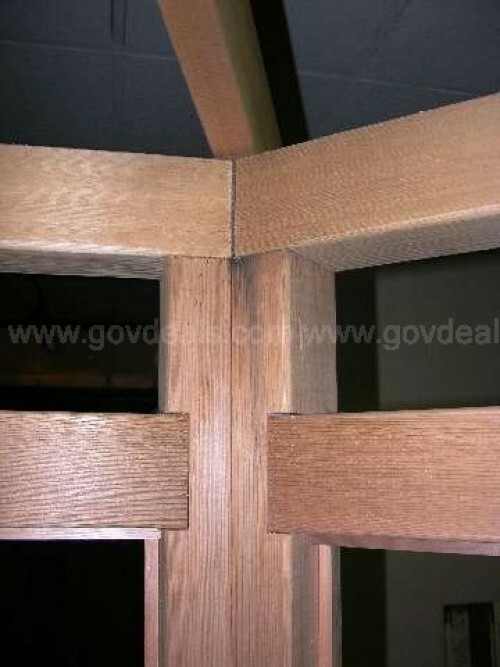 For full details please visit www.govdeals.com and enter 1425-1879 in the QAL (Quick Asset Lookup) box located on the home page. This is one exhibit gazebo that was made to simulate the cupola on top of the railroad roundhouse along Duke Street during the Civil War. Please see final picture; picture# 5 to see what we are talking about. 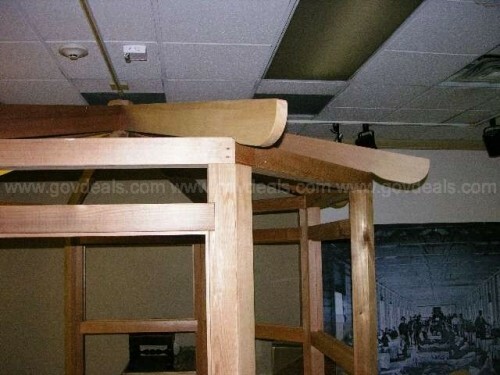 This gazebo was made of redwood and it would work really well in someone's yard as an arbor or gazebo. 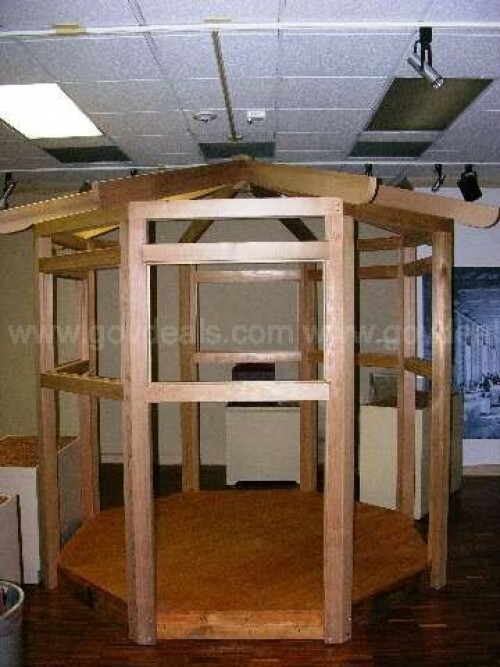 The dimensions of the gazebo are 8' for the diameter of the base; the overall height is 109"; and the floor height is 6.5" Please note that this gazebo will be sold in disassembled condition because as an assembled unit, you will not be able to remove from its location. This item is AS IS. Please bid at your own risk. Special Removal Instructions: Again, the gazebo will have to be disassembled in order to remove the item from the location. 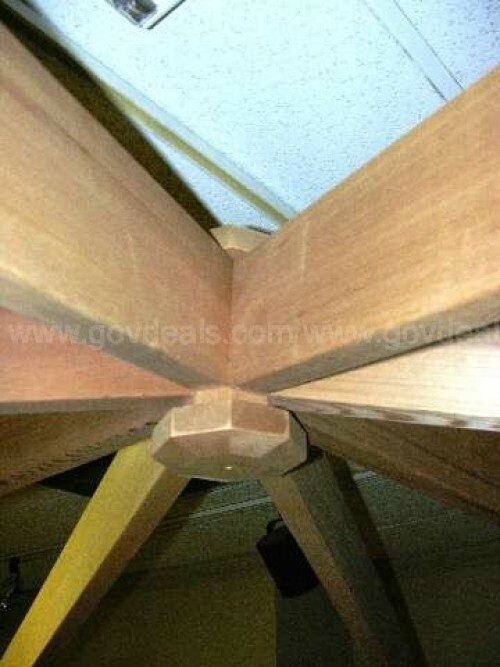 We do have a carpenter on hand that will be able to disassemble the gazebo for $400. If you want it disassembled, delivered within 50 miles from the Baltimore/Washington DC area and reassembled, this can all be done for a fee of $950. This fee will be charged separately and will not be included in any GovDeals fees whatsoever. Thank you for the interest. THE CITY OF ALEXANDRIA IS UNABLE TO PACK AND SHIP ITEMS TO AWARDEES. This item offered for sale "AS IS, WHERE IS." City of Alexandria (Seller) makes no warranty, guarantee or representation of any kind, expressed or implied, as to the merchantability or fitness for any purpose of the property offered for sale. ALL SALES ARE FINAL.